My name is Karin, I live in Greenville, SC and love to stroll about antique stores. 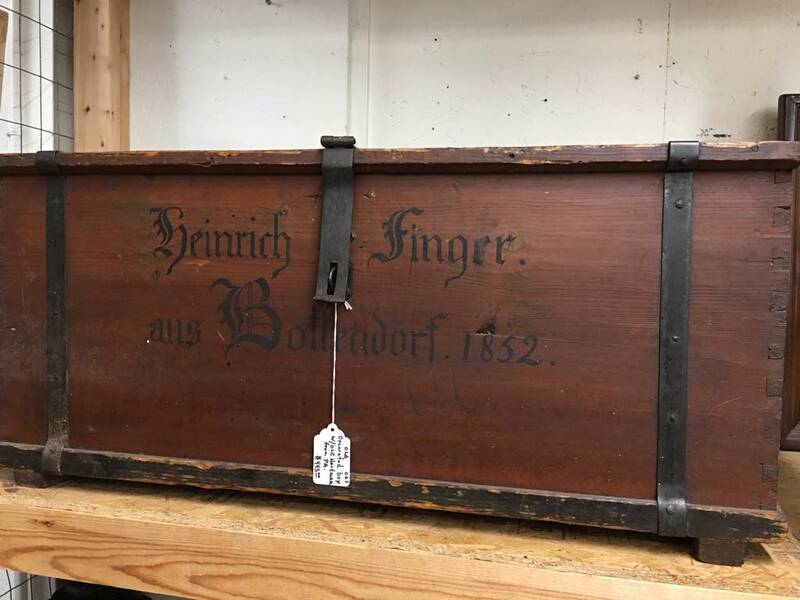 Yesterday I found a wonderful old wooden trunk with the letters Heinrich Finger aus Bottendorf 1852. As a lot of Finger family members are connected to this site, maybe somebody here might be interested in that unique family piece. So let us know if you're interested and we'll help you get in touch with Karin. Well, the year 2018 slipped by, I wasn't able to give much attention to this website. There is some work to be done, but I'm still in the middle of preparing our house for sale, and getting moved to our new location, which is 30 miles away. There has been some discussion about the children of Johannes (b. 1700) and I plan to make some adjustments in that as soon as I can find the time.